Now that the holiday’s are over and 2014 is almost here, Apple is eager to jump into the new year. 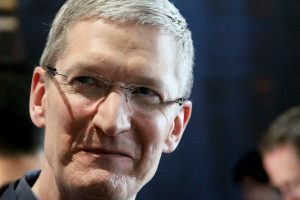 Between statements made by Apple’s CEO Tim Cook as well as rumors suggesting that a larger iPad is on the way, 2014 is already looking as though it will be a huge year for the Cupertino-based tech giant. It is still many months away but the rumors surrounding a 12.9-inch iPad are piling up with the majority of them suggesting that an October 2014 launch date seems to make the most sense for Apple. On top of the massive iPad rumors, some sources are now saying that we could see the iPhone 6 as early as May 2014. This release date would differ from the majority of Apple’s previous releases but sources are justifying it by saying that the company sees the iPhone 6 as more of an incremental update than a completely new system. Since the iPhone 6 is expected to be nearly the same as the 5S, a large iPad seems to be a bit more interesting for consumers as well as for analysts. The 12.9-inch iPad is reportedly set to be an alternative for laptops which means that it may be setup in a way that is similar to Microsoft’s new Surface Pro tablets. With iPad keyboards already a popular accessory for the tablet, Apple may use the larger iPad to capitalize on consumer interest in swapping out their computers for tablets. On top of the iPad and iPhone, reports have surfaced that Apple recently purchased a patent for a heart rate monitor. While heart rate monitors are nothing new, the patent detailed a piece of technology which could actually identify people based upon slight differences in their EKG readings. This sort of technology may not end up making it into any of Apple’s products but if it does, it will surely make a big splash in the tech industry.